In 1992, to make the study of Japan and the Japanese language both challenging and enjoyable, the Japan-America Society of Washington, D.C., launched the National Japan Bowl®, an annual competition that recognizes and encourages the nearly 70,000 high school students across the United States who have chosen to study Japanese as their foreign language. Over the years, the National Japan Bowl® has grown to become the pre-eminent venue for demonstrating American students’ knowledge of Japan, its language, its history, and its culture, focusing a national spotlight on the close, longstanding relationship between the two countries and their people. Japan Bowl of California is an academic competition that tests the achievements of high school students who are studying the Japanese language. Its uniqueness stems from its dedication to test high school students not only on the language itself, but also on knowledge of “Japan, the country.” Japan Bowl also recognizes and encourages these students, who have chosen to study Japanese as their foreign language. The competition format is modeled on popular quiz shows such as “It's Academic.” Teams of high school students will compete at three different levels, depending on how long they have studied Japanese. This will be a wonderful opportunity for the students to show their Japanese language skills and knowledge, and meet other students in California that share the same interest. The Japan Bowl® of California will be modeled on the National Japan Bowl®. 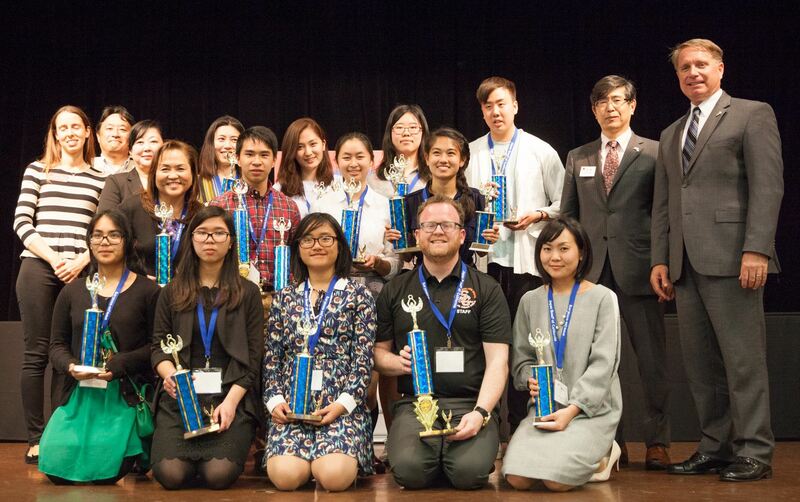 Given that one-half of all high school students studying Japanese in the U.S. live and go to school in Southern California, Japan Bowl® of California promises to be one of the most important regional contests of its kind. During the preliminary round of the competition, students will be tested with written questions, covering both language and non-language topics. Some non-language areas include history, arts and traditional and modern culture, geography, society and daily life, popular culture and current events. Finalists are tested with verbal communication skills in the championship round. Throughout the competition, students must have a decent comprehension of kanji (including names of topics, people and places), idiomatic expressions, onomatopoeic expressions, and affective expressions. In addition to being an outstanding opportunity for students of Japanese language and culture to meet one another, immerse themselves in all things Japanese for a day, and publicly demonstrate the depth of their knowledge of Japan, the Japan Bowl® of California will serve as a preliminary round for the National Japan Bowl®, with the winning team representing California in the national championship. At the conclusion of the Japan Bowl® of California competition, the winning Level 2, 3 and 4 teams will be declared California Champions! National Japan Bowl will be held in Washington, D.C. on April 12 - 13, 2018. Find out more about National Japan Bowl®. Inquiries should be sent by email to Kay Amano, Programs Director, Japan America Society of Southern California at amano[at]jas-socal.org. This Study Guide describes the format, content, and rules of the Japan Bowl® of California competition. It also describes who is eligible to compete. The Study Guide’s purpose is to help students and teachers form teams and prepare for the 2018 competition. A series of free webinars will be held to introduce Japan Bowl to the teachers. Please contact Kay Amano, JASSC Programs Director at 310-965-9050 x104 or amano[at]jas-socal.org to sign up! Lots of perks for teachers who sign up for the webinar. Teams from Title 1 schools may be eligible to receive financial support for the application fee. For more information about Japan Bowl® of California or for information on financial support, please contact Kay Amano, JASSC Programs Director at 310-965-9050 x104 or amano[at]jas-socal.org. You can sponsor a Title 1 school (2 teams from each level, total of 6 students and 2 chaperones) for only $250! Click on the "Donate" button below, and check "JASSC Educational Programs - Japan Bowl of California".